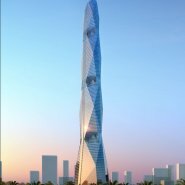 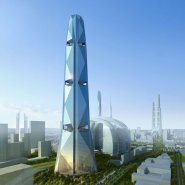 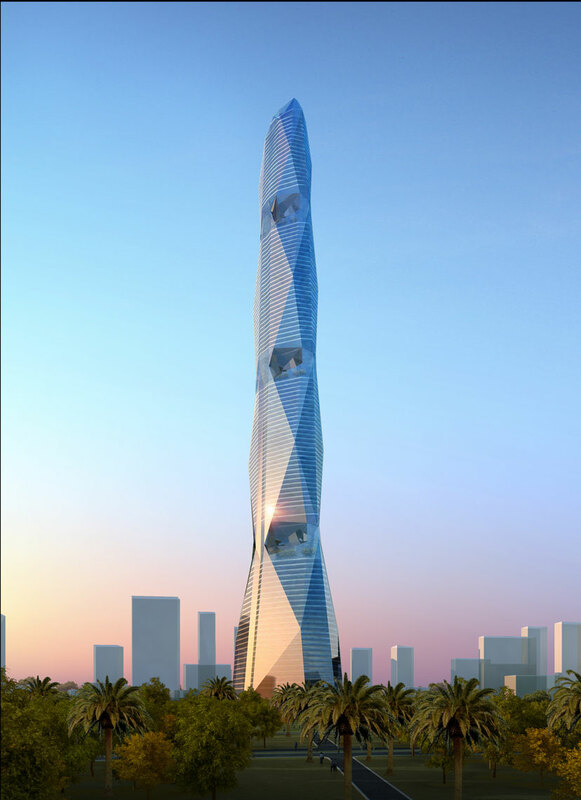 Meraas Tower combines simple geometric principles with new and emerging technologies to create a modern, soaring “tower of light” for the city of Dubai. 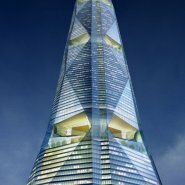 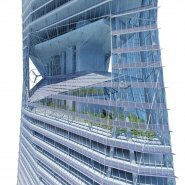 Like a prism, the 112-story tower has a series of faceted surfaces that increase light and air traveling through the building. 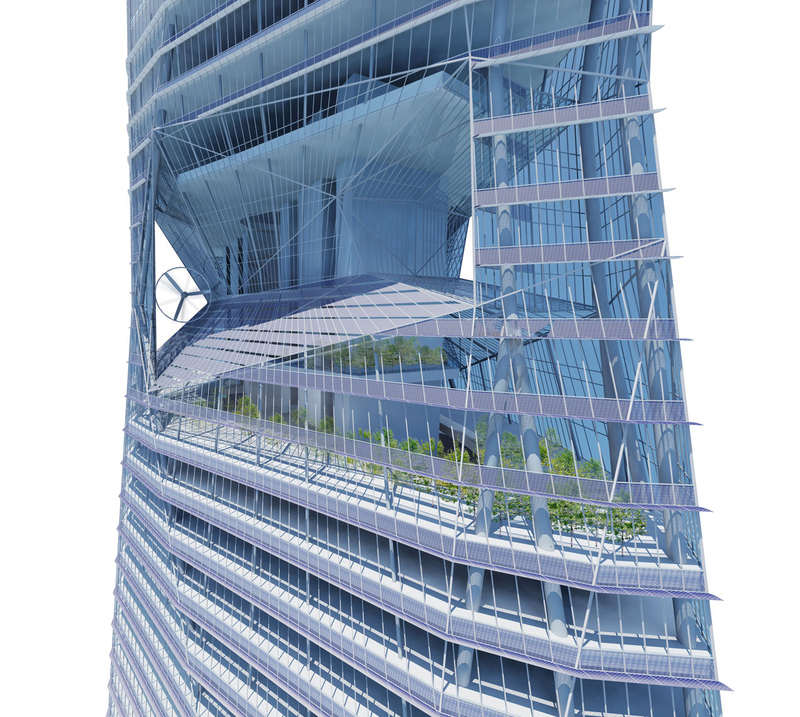 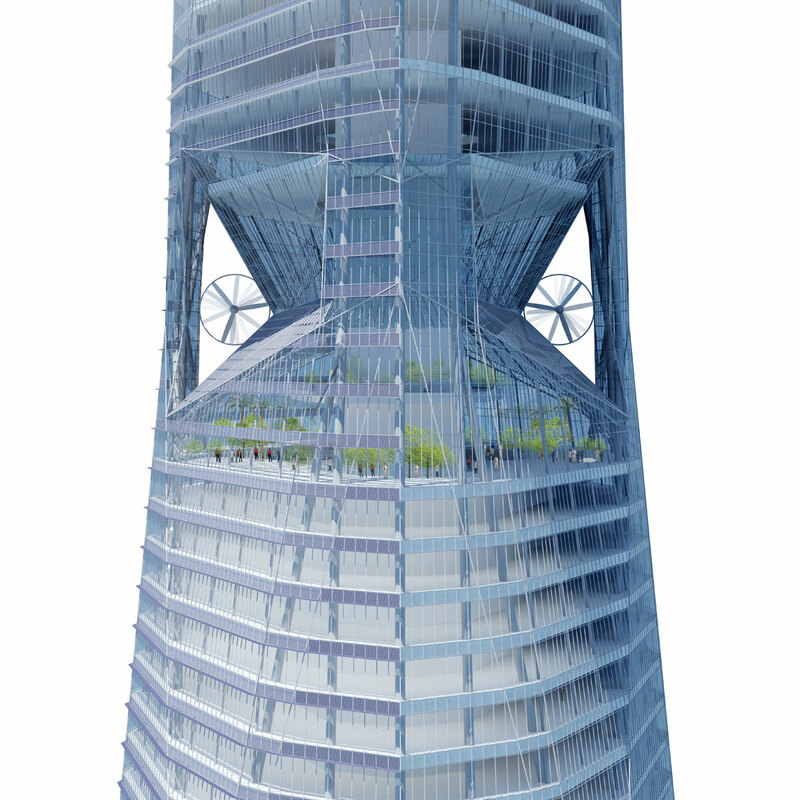 The faceted shapes maximize energy generation, balance natural light and offer 360-degree views. 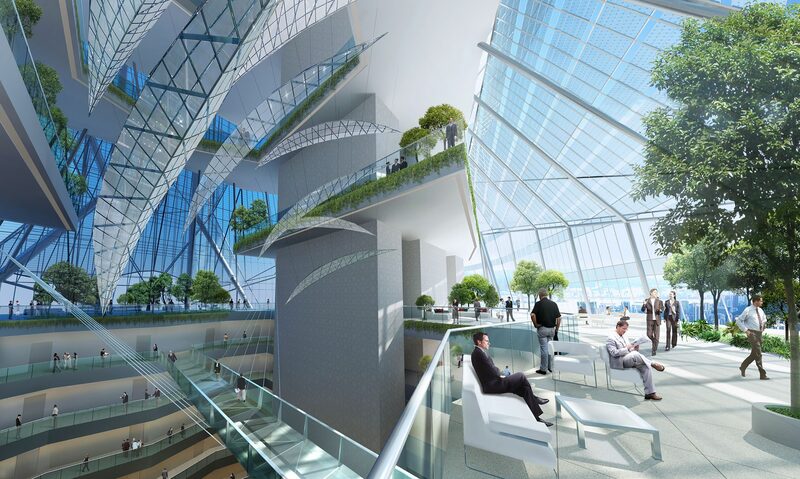 They also create natural atrium spaces as the building ascends, allowing for the creation of naturally lit sky gardens that activate the tower’s form. 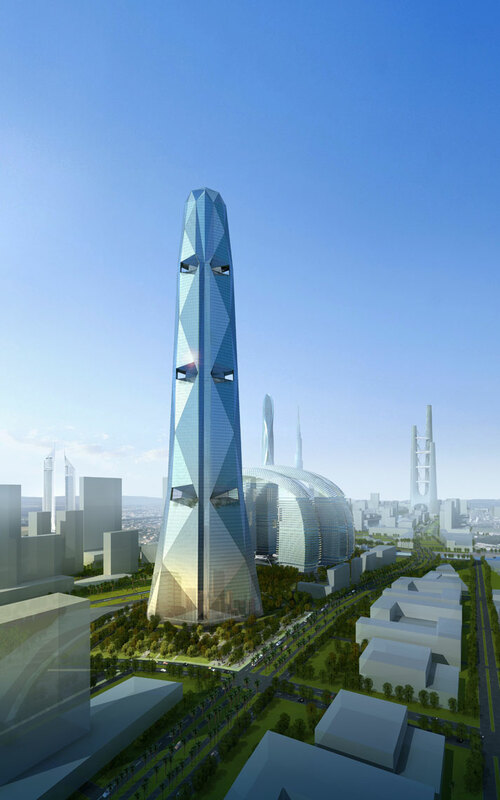 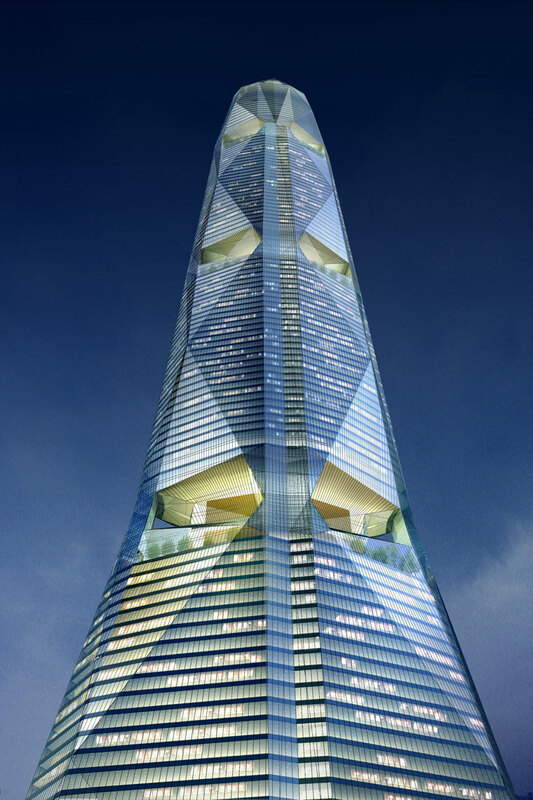 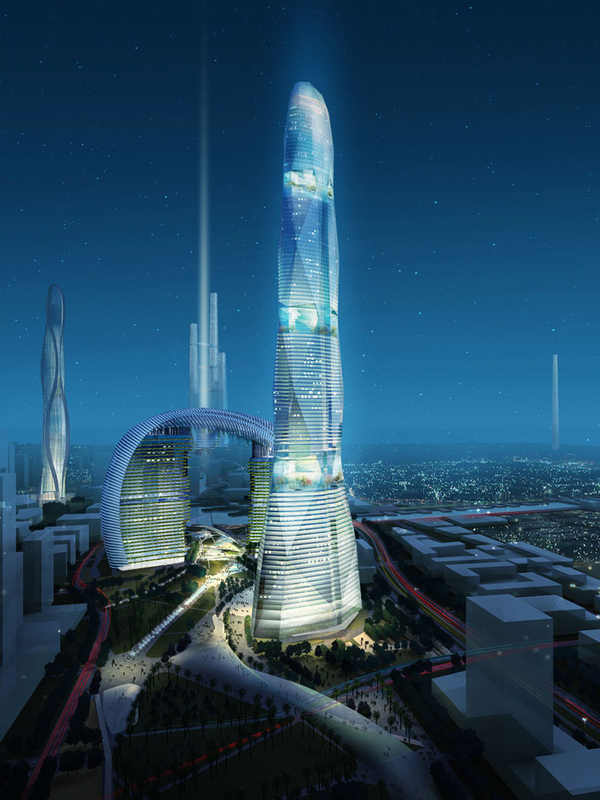 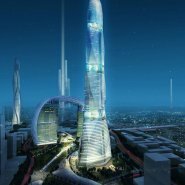 Meraas Tower includes 300,000 square meters of hotel, convention, commercial and retail spaces. 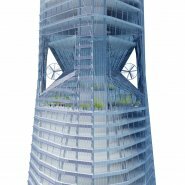 The 15-story hotel features a ballroom, prefunction facilities and soaring lobby atrium topped by an elegant, lushly landscaped sky lobby.